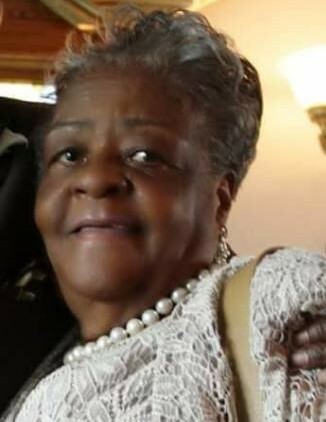 Mosella (Owens) Stevens, 90, of Springfield, Ohio went home to be with the Lord on Thursday, January 24, 2019. She was born October 25, 1928, the daughter of Otis and Beatrice Owens. She was the eldest of 10 children. She was a dedicated mother and wife who found joy and pride in raising her family. Her work outside of the home was in service to the culinary world, included elite named establishments like Yannucci’s and The Ohio State University. She held a firm faith in God, instilling the greatest commandment of love throughout ALL of her family. She was a faithful member of Restored Life Ministries where she attended regularly until unable to attend. Mosella leaves to cherish her memory: daughter, Avella Brown; sons, Eldon (Vickie) Stevens, Robert Stevens, and Dale (Rhonda) Stevens Sr.; brother, Bobby Owens; sisters, Joyce Wilson, Eunice Carter and Eleanor Guy; sister-in-law, Shirley Gideon; grandchildren, Tewon Stevens, Chantal Stevens, Dale Stevens Jr., Vita (Seth) Scott, Neccy Stevens, Nicole Brown, and Vincent (Jennipher) Brown Jr.; great-grandchildren, Faith Stevens, Darreana Harmon, Tarryn Frazier, Kevin Stevens, JoVaughn Stevens, Kadijah (Raheem) House, Tyler Ray (Alvarez) Brown, Inaya Brown, Vincent (Tre) Brown III; special friends, Sandra (Bug) Howard, Gloria Hutchins, Cheryl Taylor, and Luddie Elder; special daughter, Louise Browning; special nephew, Don (Marie - Falfie) Owens; and a host of great-great-grandchildren, nieces, nephews, cousins, aunts, uncles, and friends. She was preceded in death by her husband, Eldon (Bits) Stevens; brothers, Norval (Uncle Dah) Owens, Lloyd (Uncle Doe) Owens, Eddie (Uncle Sneak) Owens, Otis (Uncle Buck) Owens Jr., and Kenny Gideon; sisters, Bonnie Owens, Maxine Miller and Dorothy Guy; son, Wayne Stevens (Hammer); and grandsons, Michael Brown, DeVaughn Stevens and Darren Harmon. Visitation will be held at 11:00 a.m. until the time of service on Friday, February 1, 2019 at Restored Life Ministries, 1117 Innisfallen Ave, Springfield, Ohio 45506 with funeral service beginning at 12:00 p.m. Interment will take place in the Ferncliff Cemetery. Arrangements entrusted to the care of the Jerry W. Kinley Funeral Home.